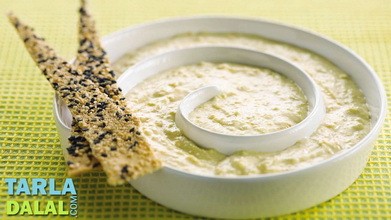 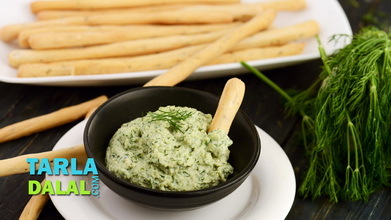 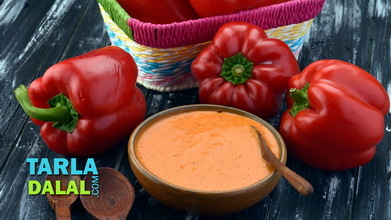 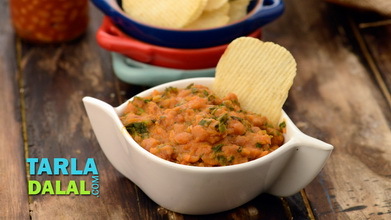 A flavourful, cool, fresh-tasting dip that goes well with vegetables and crackers. 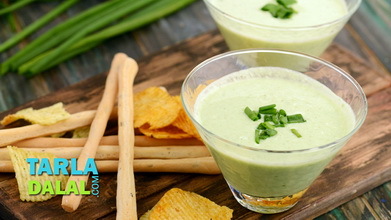 Just add a dash of cream cheese, sour cream and chilli, and there you have all the zing needed to lift you beyond mundane everyday worries. 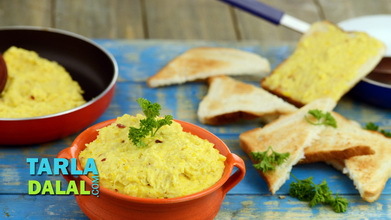 Combine the paneer and curds and blend in a mixer to a smooth paste. 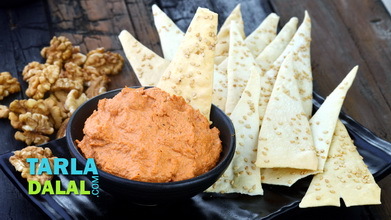 Garnish with dry red chilli flakes, carrots and celery. 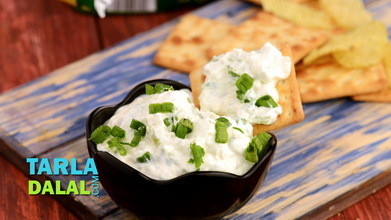 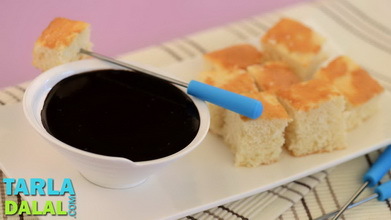 Serve chilled with cream cracker biscuits.